1: A full day has been added to the festival. This is our 7th year and in numerology it isn’t just a lucky number. The meaning of 7 includes: spiritual, knowledgeable, persevering and displays much inner wisdom. 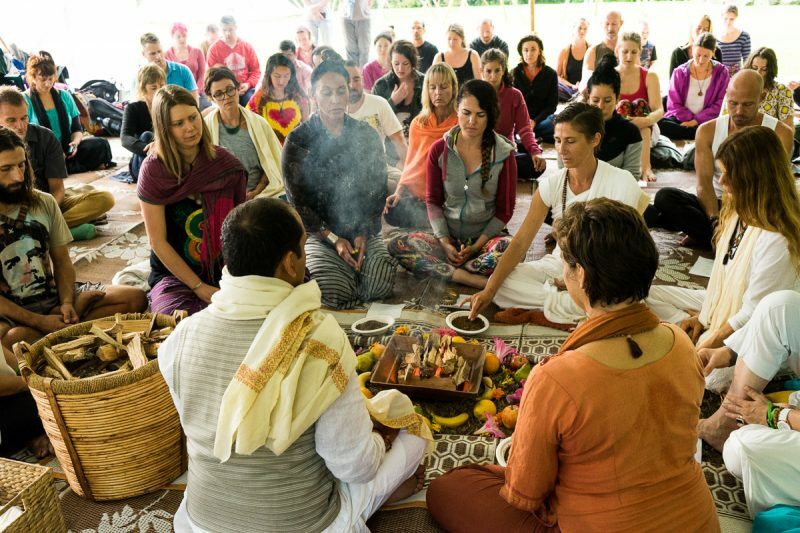 We have extended the festival to four days in order to provide more time and space for a deeper immersion of practices and inner transformations. We are excited to add to our team of local and internationally renowned yoga teachers. To help you explore the range of yoga and the ever-growing spirituality surrounding new sessions include: family friendly activities, Yoga for Men, and Art Meditation for Depression. 3: More food than ever before! For the first time we are bringing in yummy food trucks serving fresh pies, vegan gelato, popcorn, and superfood smoothies. Our regular food stalls, Chai tent, Prema Kitchen and vegan/vegetarian treats will still be around too. In addition to a continuous kirtan stage, each night of the event features live concerts. Day pass and concert-only tickets are on sale now. 5: Little India is coming. Experience the traditions of yoga from its source. Traditional Indian food will be served in addition to a reserved space with a colourful array of stalls hosted by Indian News Link. At the festival we will discuss Yoga Teacher Training courses and how this can deepen your practice, create a change within others, and within yourself. 7: More than 150+ workshops in varied styles of yoga. Dive into an array of yoga styles, traditional to contemporary including: Hatha, Vinyasa Flows, Aerial, Stand Up Paddle and everything in between. 8: Creative Arts & Cacao Ceremony. We also offer opportunities to step off the yoga mat and explore yoga fusions, dance, meditation, and even a Cacao Ceremony. Have you ever experienced Marae-style living? This traditional Maori way is a great way to meet fellow festival goers. Book before it’s too late. Once again we are proud to be holding the festival at Kawai Purapura Retreat Centre. It is just 20 minutes from the centre of Auckland yet stands in the heart of 19-acres of beautiful native bush & streams with an outdoor swimming pool and glow worm grottos! Are you convinced yet? Click here to book your place! For a full list of questions and answers, check the festival FAQ’s here.